Researchers from Universidad Carlos III de Madrid (UC3M) have patented a device for the selection of people which, unlike other methods, ensures the randomness of the entire process. The patent is a copy of the Kleroterion, a device used in classical Athens. However, it incorporates one important modification: the material it is made from, namely, methacrylate. This gives it several advantages, such as greater ease of transport, and it also increases the transparency of its operation. 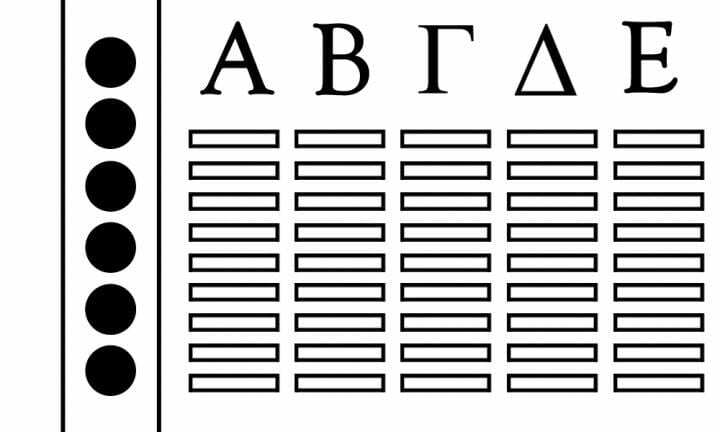 The device used in classical Greece was made of stone and had a metal tube, which made the process much slower. The new Kleroterion patented by these researchers is transparent, so you can see how the balls fall and know immediately which option has been selected, explains one of the authors of the patent, Roberto Losada, a lecturer from the Social Sciences Department at UC3M. Another of its advantages is the simplicity of its operation. The device consists of horizontal slots in which each participant inserts an identifying card and a vertical tube with a funnel where balls of different colours are introduced depending on the number of people to be selected. The order in which the balls of each colour fall determines which rows of cards are selected. “It is a completely random method, unlike other random processes such as those performed by computer applications, which are actually pseudo-random, that is, any future state in which one of them is found is completely determined by its current state” points out another of the authors of the patent, Rubén Sánchez Medero, from the Social Sciences Department at UC3M.